And seeing the crowds, He went up onto the mountain. When He had sat down, His disciples came to Him (Matthew 5:1). 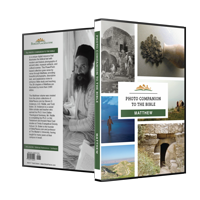 The traditional location of the Sermon on the Mount, called the Mount of Beatitudes, boasts a beautiful view of the Sea of Galilee from the north. 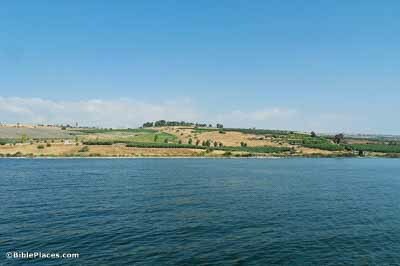 To the east lies Capernaum, the hub of Jesus’s ministry. To the west is Tabgha, the place where (according to tradition) he called his disciples. Blessed are you when men . . . persecute you (Matthew 5:11a). Even at this point in his ministry, Jesus knew that his followers would suffer greatly because of him. 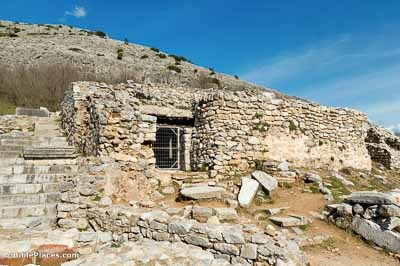 This Philippian structure is the traditional prison of Paul, who spent half a night incarcerated in that city. Because of Christ’s promise, his suffering and ultimate death for the sake of the gospel could be enjoyed as means of blessing. Nor do people light a lamp and put it under the bushel basket, but on the stand, and it gives light to all who are in the house (Matthew 5:15). 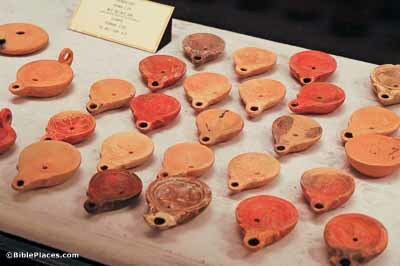 The variety of lamps common in Jesus’s day looked very similar to these. They could be placed as-is on any flat surface, such as a ledge or table. But as Jesus mentioned, they were often placed on lampstands, allowing them to cast light more evenly through a room. Whoever says “you fool” shall be in danger of the fire of Gehenna (Matthew 5:22b). 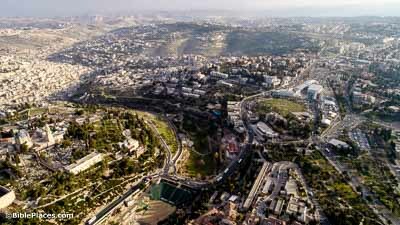 Though usually translated as “hell,” the name that Jesus uses in this warning is Gehenna, referring to the curved valley tracing the west and south sides of ancient Jerusalem. Tradition had identified it with the place of fiery torment, possibly because of the idolatrous sacrifices performed there (Jeremiah 7:31-32). He makes His sun rise on the evil and the good. He . . . sends rain on the just and the unjust (Matthew 5:45b). Jesus set the standard for mercy with a remarkable example: despite the unrighteousness of men, he has never ceased causing the sun to rise. 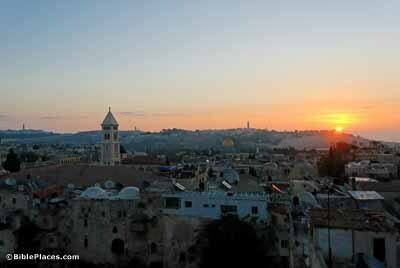 Two thousand years after this observation was made, the sun still appears from behind the Mount of Olives every morning.